Lyborn holds a 4-year degree in Bachelor of Information Studies from the University of Limpopo as well as a Postgraduate Programme in Archival Studies from the University of South Africa. She worked at The Technical Library as a Library Assistant from August 2016 until January 2018. Lyborn was employed at the Technical Library through the “Pay It Forward” internship program. Classifying and cataloguing books and conference proceedings. Administrative tasks around preparation of new books for the shelves. Shelving of books and shelf reading. Digitizing of paper copies of journal articles. Performing general administrative duties such as filing and photocopying. Data capture of monthly bulletins, technical reports and memorandums. The Technical Library is pleased to announce that Lyborn has recently started a new job at the Department of Rural Development and Land Reform. We certainly hope that the skills she has learned and training she has received while working at The Technical Library will help her in her new position We are very proud of Lyborn and we wish her all the best in her future career. This blog is written to promote the products and services of The Technical Library. Your comments and suggestions are most welcome. Nasiphi Ntloko is a Durban University of Technology graduate who has a qualification in Library and Information studies. She started working at The Technical Library in August 2016 as she was one of the successful candidates that were chosen to be a part of the “Pay It Forward” internship program. The Technical Library has provided her with excessive training throughout the past two years and this has tremendously transformed her into a skilled and qualified librarian. Shelving of books, data capturing for The Technical Library’s monthly bulletin, cataloging of books and bulletin articles as well as labeling and preparing books which have been cataloged for the shelves. She has also worked on the RCN project, which entailed the digitizing of old articles that clients could require for future reference. Nasiphi has been a part of many projects, including the 6/45 Anglo American project which involved cataloging, editing on the catalog record and shelving books accordingly. She is now working on a project for Anglo Platinum. Having Nasiphi has allowed us to devote our time to other projects that we previously did not have time for, and for that we are truly grateful to have her on The Technical Library team. Debbie has two primary responsibilities. She is Collections Manager of The Technical Library. This involves the ongoing selection (in consultation with Katinka van Straaten) of all new books, conference proceedings and journals purchased by the library. Once these books are received, Debbie is responsible for adding them to the catalogue, which includes the abstracting and indexing of content. All journal articles added to the catalogue are also indexed by Debbie. These articles are compiled into a monthly bulletin which is published by Debbie on the first of each month. Debbie is also responsible for marketing The Technical Library products and services and attracting new clients. Visits are undertaken to different mining and engineering companies informing different technical staff how The Technical Library can assist them in the work that they do. Contact Debbie if you have any conference proceedings or books which you would like to have added to The Technical Library collection, or would like to find out more about the products and services offered by The Technical Library. In addition you can watch this video where Debbie talks about her roles and responsibilities at The Technical Library. This blog is written to promote the products and services of The Technical Library. Your comments and suggestions are welcome. The Technical Library introduced an internship program in 2016 with the view to ‘giving back’ to the industry that we have all worked in for so long. The idea behind this program is to develop the careers of young individuals by providing experience, skills and on the job training that can be added to their CVs and help them become more employable in the future. In 2016, we had two interns who joined The Technical Library team. They have had a remarkable journey and we are pleased to say that they have accomplished a great deal from being with the company. The skills and experience they have gained during the past two years will surely take them a long way within the information industry. We are proud to introduce two new interns who started with The Technical Library at the beginning of January 2018. We would like to congratulate and welcome Thulile Phoseka and Dineo Molebatsi to The Technical Library team. 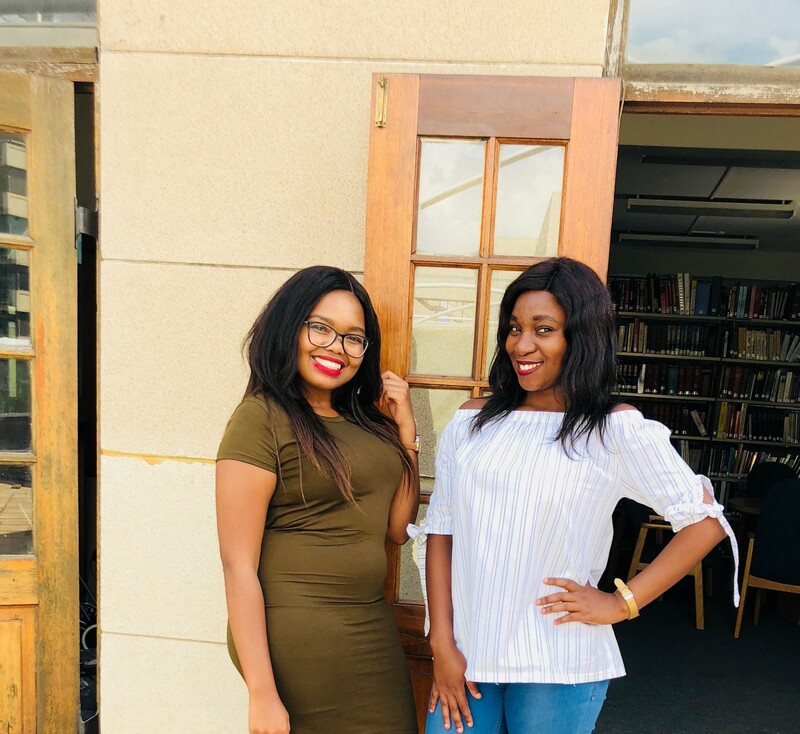 Thulilie has a qualification in Library and Information Science and her main focus area will be gaining experience in all aspects of library work including cataloging, data capture, checking in of journals and general library administration. Dineo has recently just completed a BBA (Bachelor of Business Administration) in marketing management and she will be assisting with tasks that are associated with the marketing division of the organisation. With the enthusiasm that they have shown for learning, we certainly hope that their journey at The Technical Library will be a fruitful and successful one.